Congratulations to you and your loved one and welcome to Novia Brides! We are very much looking forward to meeting you and helping you find your perfect wedding dress! Our 90 minute, celebratory, consultations are by appointment only, allowing us to focus all of our attention on you, helping you to find a style from our large range of Designer and Couture Wedding gowns that reflects the very essence of who you are, making you feel and look amazing not to mention having your soul mates’ eyes goggle and their jaw hit the floor as you walk up the aisle, over the beach or across the paddock! We have a fabulous range of Wedding Dresses for you to choose from. Our dream is to create a wonderful experience for you here at Novia, this time honored tradition is all about you and we want you feel pampered, while guiding and helping you discover the dress that you will wear to mark the ‘beginning of the rest of your life’. 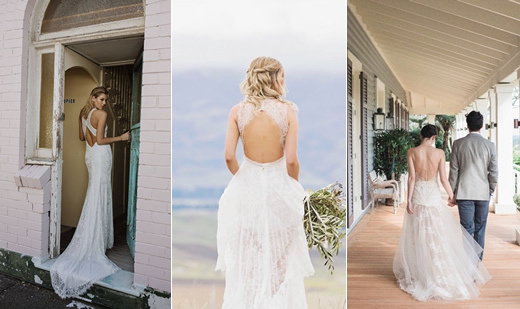 You will find Novia in the peaceful and beautiful, rural setting of Hawea Flat. Fifteen minutes drive from Wanaka. We hope you enjoy the spectacular drive out here as much as your time with us. 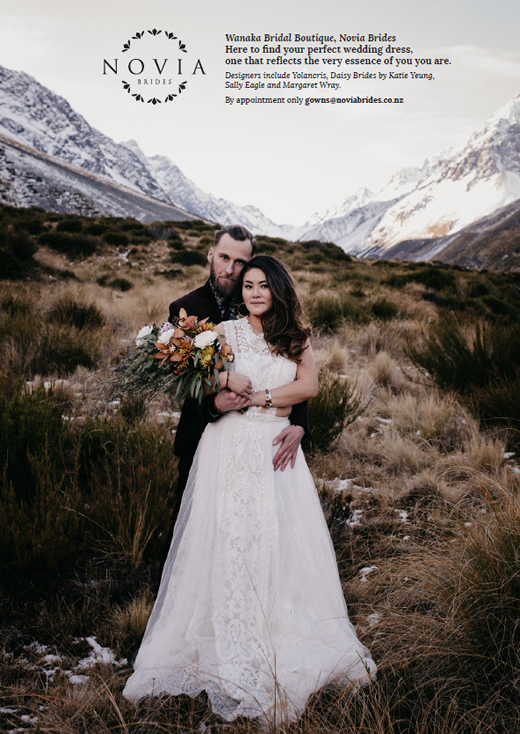 For our newly engaged brides to be, who live a little further away, there are direct flights from Auckland, Wellington, Christchurch, Brisbane, Sydney and Melbourne to Queenstown, which is a stunning mountainous 90 minute drive from Novia. For those of you who have not visited our region before we strongly suggest that you combine your visit here with a romantic weekend with your beloved, maybe your hens weekend or a special time with you and your family! We have everything from wine tours, wedding venues and spa treatments to tramping, water sports, bungy jumping and trail riding! We look forward to meeting you and being a small part of the exciting adventure that awaits you and your loved one!